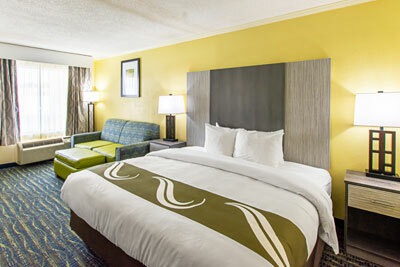 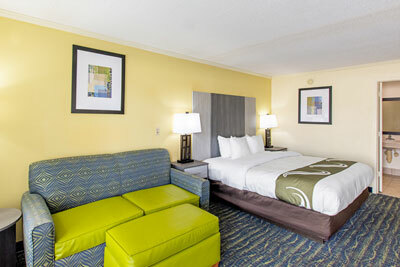 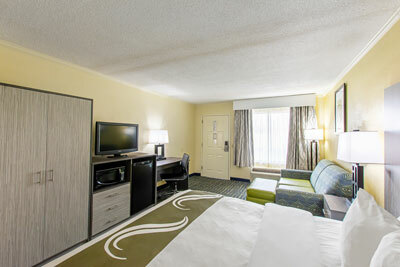 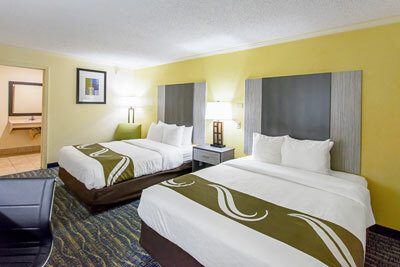 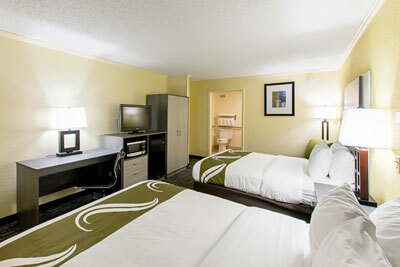 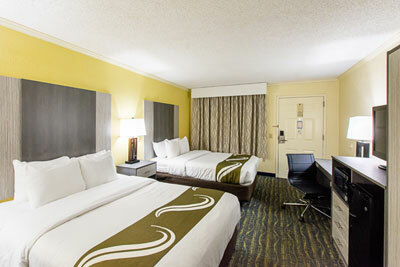 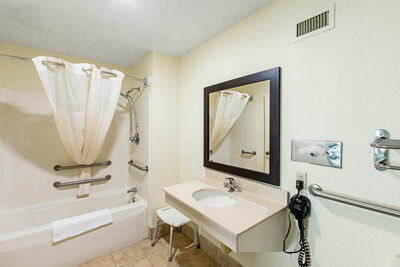 This mobility accessible room is near the main lobby and features a roll-in shower and hand rails in the bathroom. 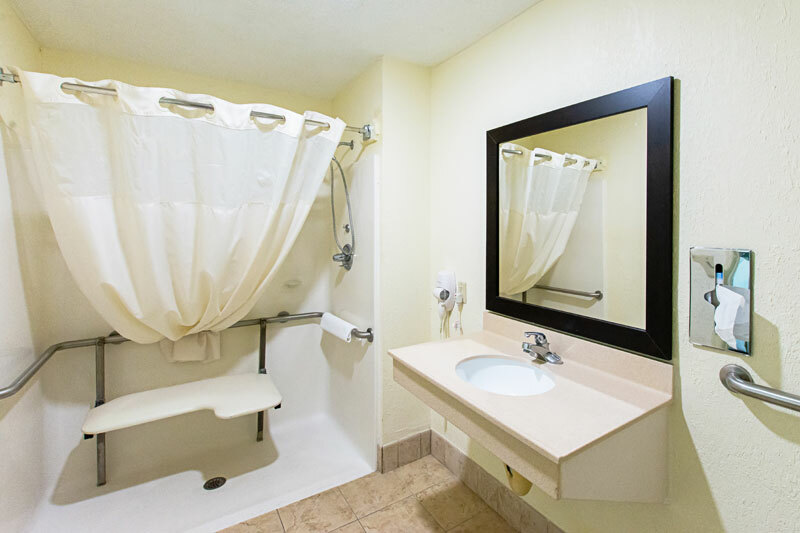 This mobility accessible room offers drive-up convenience and features an accessible tub and hand rails in the bathroom. 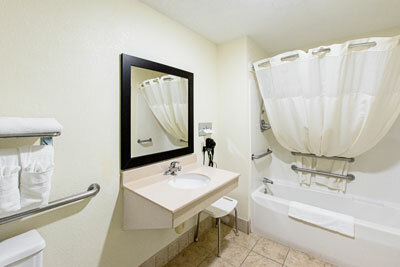 This mobility accessible room is near the main lobby and features an accessible tub and hand rails in the bathroom.